Due to popular demand, three new bouquet titles specifically for celebrations are available making it even easier to choose year-round gift ideas or the perfect centerpiece for a special occasion. 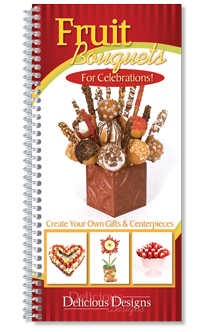 These craft and recipe books include detailed instructions and full-color photos so you can make your own stunning bouquets, gifts and centerpieces. A homemade gift is priceless, but it doesn’t have to be expensive.